Quebec City, July 25th, 2016 – Today, Envol et Macadam is revealing the lineup of emerging bands that will be participating in the 21st edition of the festival, which will be held from September 8th to 10th. Presented in collaboration with Tremblay beer, the event promises to feature many memorable concerts, during which alternative music will ring out in the urban setting of Îlot Fleurie park, as well as various other Quebec City venues. The organization previously announced the presence of several big names in punk rock for this edition. In fact, Bad Religion, The Sainte Catherines and SNFU will be taking to the festival’s stages on Friday, September 9th, while Me First And The Gimme Gimmes and Mad Caddies will perform on Saturday, September 10th. In addition to these headliners, many emerging bands have been added to the lineup, including Rymz, Castle, Los, While Paris Sleeps, The Home Team, Dany Laj and The Looks, Les Trimpes, Québec Redneck Bluegrass Project, Les Hôtesses d’Hilaire, as well as numerous other up-and-coming bands. An electronic music lineup has also been added to the festival’s programming and is new to this edition. Over 15 artists will take to one of Îlot Fleurie’s outdoor stages, including Canadian DJ and producer D-Unity. Audiences can also expect to see Toronto artist Sean Collier and Johnny Trika from Montreal, as well as a number of pillars of Quebec’s electronic music scene, including, among others, Bruno B, Banging Mark, Charles Poulin, DJ Petite and Nic B. This new facet of the festival’s programming is presented by UNDERTEK and is sure to reunite fans of the genre. Music lovers who are keen on discovering new bands will get their fill with the PLANETROX project, which is returning for a 6th consecutive year. This international competition was initiated with the collaboration of the City of Quebec. Its mission is to discover the best emerging bands in each of the participating countries and to present them to the Envol et Macadam audience. This year, festivalgoers will be able to enjoy bands from ten different countries (Canada, the United States, Mexico, France, the United Kingdom, Germany, China, Indonesia, Japan and the Czech Republic) and who will be taking to the festival’s stages. 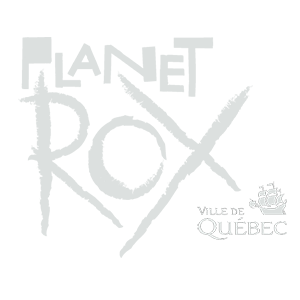 Various Quebec City music venues will also be participating in the event. Indeed, several concerts will be presented at Le Complexe Méduse, L’Anti, La Source de la Martinière, Scanner Bistro, Le Knock-Out and Le Cercle. These venues will be destinations of choice for music lovers during the festival’s opening night on Thursday, and they are where festivities will continue after the mainstage concerts have ended. Finally, as Envol et Macadam has always strived to offer audiences a high-quality experience, a greater selection of food vendors will be present this year at the Îlot Fleurie park. Festivalgoers will be able to choose among a variety of delicious options thanks to the presence of different food trucks and vendors, including La Shop, Équilibre Traiteur, Noctem Artisans Brasseurs, la Bécane à Bouffe, Le Gourmet Acadien and Les Glutineries. With this eclectic lineup presented in a distinct urban setting, all of the necessary elements are coming together in order to allow both local and international alternative music to shine in Quebec’s capital city during this 21stedition of the Envol et Macadam festival. Passes and day tickets are currently on sale and many different options are available to satisfy the needs of all festivalgoers. For those who already purchased passes during the special presale and who would like to take advantage of the VIP privileges, your passes may be upgraded for the price of $55. Festival passes and tickets for different concerts are available at all times at Lepointdevente.com, Exo Shop (260, rue Saint-Joseph Est, Quebec City) and on Envol et Macadam’s website. Envol et Macadam would like to thank all of the festival’s partners. The event receives support from the Ville de Québec, the Government of Quebec, Canadian Heritage, Tremblay beer, the Consulat général de France, the Hotel Delta Quebec, Radio X, CISM and the Exo shop.